Was Robert E Lee one of the greatest generals in history? Find out with these awesome Robert E Lee facts you don’t want to miss. Robert E. Lee became the flawless god of the Myth of the Lost Cause since shortly after his death in 1870. A primary tenet of the Myth is that Lee fought extremely well while Grant’s armies were butchered by Grant’s own aggressiveness. 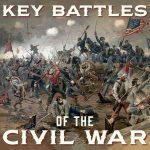 The approach has been to emphasize Lee’s 1862–1863 victories, cast Antietam as a victory, blame his Gettysburg defeat on others, and stress the heavy casualties he imposed on Grant’s army in the 1864 Overland Campaign. At the McLean House, suffering the physical death of military surrender, the Confederacy became immortal. Exactly here can one find the essential moment of origin of the “lost cause,” of which Robert E. Lee was the effective first father. . . . Southern white nationalism arose from the ashes of the lost cause to a considerable extent because of the prideful spirit Lee both articulated and embodied. He was the sacrificial lamb, the Confederate Christ on the cross at Appomattox who then was resurrected by others in the spirit and the body politic. Before he died, he also became the soft-spoken but implacable foe of submission and conciliation. In the immediate aftermath of the Civil War, historians dealt with Lee as with most other participants in the war, treating him positively for the most part but discussing his faults. This treatment was consistent with newspapers’ treatment of Lee during the war itself, when Stonewall Jackson rivaled or surpassed him as the most adored Confederate general. Both men were venerated in death as martyrs for the Confederacy. The first postwar historians praised Lee but found fault with his actions at Gettysburg and Malvern Hill and sometimes at Antietam, Fredericksburg, and the Seven Days’ Battles. While Jackson, Longstreet, Joseph E. Johnston, Albert Sidney Johnston, and others received generally favorable treatment, Richard Ewell and Jubal Early were universally criticized for their timidity on the first day at Gettysburg. In The Lost Cause (1866), Edward A. Pollard concluded that Lee’s influence on the Confederacy’s fortunes was on the whole negative. After his death on October 12, 1870, however, Lee became a Southern and then a national deity. The groundwork for this transformation was being laid as early as 1868, when a Southern publication said he was “bathed in the white light that falls directly upon him from the smile of an approving and sustaining God.” By 1880, John W. Daniel, one of Early’s former staff officers, would write, “The Divinity in [Lee’s] bosoms hone translucent through the man and his spirit rose up to the Godlike.” Christ-like images of Lee continued well into the twentieth century in the writings of, among others, Douglas Southall Freeman, Gamaliel Bradford, and Clifford Dowdey. Presenting Lee as a combination of King Arthur and Jesus, Freeman built upon the early Lost Causers’ myth of the perfect Lee and passed it on to later generations. Perpetuating the myth of Lee, the Encyclopedia of American Biography (1974) calls him “a rare example of a man who looked like a perfect soldier, and was. . . . He fought with the Confederacy not because he loved warfare but for Virginia and the abstract principle of states’ rights. . . . [H]e was always outnumbered by the enemy, and usually short of food, equipment and ammunition. . . . He was able without strain to equate the effort for the Confederacy with the effort for Virginia. . . . In sum he was a marvelous soldier—cool, quick, decisive, resourceful, amazingly tactful in dealing with Jefferson Davis, and, when defeat eventually faced him, a beautiful loser.” The one source provided for this analysis is Freeman’s R. E. Lee. The myth was alive and well a quarter-century later when the Oxford Companion to American Military History (1999) praised him as “a man of high personal character and intelligence, charismatic and charming, a natural leader. As a leading actor in the Civil War legend of martial glory, he has become a legendary figure, an American hero of exceptional nobility. The legend rationalizes or rejects characteristics of the man that might lessen his appeal.” After a brief discussion of his critics’ and defenders’ contentions, the entry on Lee concludes, “Whatever his shortcomings, Lee became the white South’s greatest hero, and many northern and foreign commentators have praised both the man and the general.” Freeman’s R. E. Lee is the first source cited. After his death, no criticism of Lee went unchallenged, while any Confederate general who was seen as a threat to Lee’s reputation became fair game for censure and condemnation. One of the major reasons for Lee’s apotheosis was that former Confederate officers associated with him could promote themselves through idolization of Lee. Generals Jubal Early and William Nelson Pendleton, whose war records were undistinguished, were among the leaders of the effort to elevate Lee by disparaging J. E. B. Stuart and James Longstreet. Early, who had faltered at Gettysburg, lost the Shenandoah Valley and his corps, been relieved of command by Lee, and fled the country for a few years after the war, was an early critic of Longstreet and others who could be blamed for Lee’s shortcomings. Early was a better propagandist than general. As an author and as president of the Lee Monument Association, the Association of the Army of Northern Virginia, and the Southern Historical Society, he acted as Lee’s chief votary for three decades. Pendleton, a minister and Lee’s incompetent and nominal chief of artillery, served as executive director of the Lee Monument Association and developed in his speeches, sermons, and writings the parallels between the perfect Jesus Christ and the faultless Robert E. Lee. He joined Early in falsely alleging that Lee had issued attack orders to Longstreet at Gettysburg at dawn on July 2, 1863. Another minister, J. William Jones, published his idolizing Personal Reminiscences of General Robert E. Lee14 in 1874, gained control (with Early) of the Southern Historical Society, and used its periodic Papers to extol Lee and damn his critics from 1876 through 1887. Praise for Lee continued unabated in hundreds of books and articles published in the late nineteenth and early twentieth centuries. In The Rise and Fall of the Confederate Government (1881), Jefferson Davis referred to the Southern Historical Society Papers as resolving the issue of responsibility for Gettysburg, implying that Longstreet was to blame. Among the other influential books in this period were Robert E. Lee Jr.’s Recollections and Letters of General Robert E. Lee (1904); Jones’s sequel to his Personal Reminiscences, Life and Letters of Robert Edward Lee, Soldier and Man (1906); Thomas Nelson Page’s Robert E. Lee: The Southerner (1909); and Page’s nationalist revision, Robert E. Lee: Man and Soldier (1911). [Lee] was a foe without hate, a friend without treachery, a soldier without cruelty, and a victim without murmuring. He was a public officer without vices, a private citizen without wrong, a neighbor without reproach, a Christian without hypocrisy, and a man without guilt. He was Caesar without his ambition, Frederick without his tyranny, Napoleon without his selfishness, and Washington without his reward. He was as obedient to authority as a servant and royal in authority as a king. He was as gentle as a woman in life, pure and modest as a virgin in thought, watchful as a Roman vestal, submissive to law as Socrates, and grand in battle as Achilles. In his seven volumes of flowing prose and detailed documentation, Freeman depicted Lee as flawless in nearly every way. In Lee’s veins flowed the blood of the finest families of Virginia, the finest society America ever had produced. Lee was brilliant, prescient, humane, intelligent, and virtually unerring. What imperfections he did have only seemed to make him greater. For example, he was so tolerant of the faults of others (his lieutenants, for example) that sometimes their mistakes would result in defeats for which Lee would be held responsible. Like some of his nineteenth-century predecessors, Freeman cited Lee’s failure to criticize Longstreet’s conduct at Gettysburg as proof of Lee’s magnanimity instead of evidence that Lee had in fact found little or no fault with Longstreet’s performance. As did many of his predecessors, Freeman lauded Lee by criticizing Longstreet and deftly denigrating the accomplishments of Stonewall Jackson, whom he regarded as a threat to the supremacy of Lee’s reputation. In a nutshell, R. E. Lee demonstrated how great Lee was, and Lee’s Lieutenants described how all his subordinates had let him down. Freeman’s work affected that of later writers, such as Clifford Dowdey, who wrote a series of worshipful books about Lee in the 1950s and 1960s. One of his chapter titles says it all: “The God Emerges.” Freeman’s influence also is present but muted in Emory M. Thomas’s excellent Robert E. Lee: A Biography (1995), which contains some criticism of Lee but adopts some of Freeman’s strong pro-Lee positions, such as solely blaming Longstreet for the delays on Day Two at Gettysburg. If [signing the instrument of surrender] was the very Gethsemane of his trials, yet he must have had then one moment of supreme, if chastened, joy. [He rode through his men.] Then occurred one of the most notable scenes in the history of war. In an instant they were about him, bare-headed, with tear-wet faces; thronging him, kissing his hand, his boots, his saddle; weeping; cheering him amid their tears; shouting his name to the very skies. He said, “Men, we have fought through the war together; I have done my best for you; my heart is too full to say more.” Thus, with kindly words, as of a father, and a heart that must have felt some solace in such devotion, he bade them farewell, and left them like the devoted band that wept for the great Apostle to the gentiles, weeping most of all that they should see his face no more. It was inevitable that the discrepancy between the myth of the flawless Lee and the reality of the devastating defeat of his Confederate army would attract more critical historical analysis. One of the first breakthroughs, even though it was heavily edited to remove many passages critical of Lee and others, came in 1907 with the publication of Confederate Brigadier General E. Porter Alexander’s classic and balanced Military Memoirs of a Confederate: A Critical Narrative. Aware of but ignoring the legions of Lee-worshippers, Alexander offered his frank assessments of all the leading Civil War generals. All of them, including Lee, received both plaudits and criticism. Even more valuable is the 1989 printing of the original, unexpurgated version of Alexander’s work, Fighting for the Confederacy: The Personal Recollections of General Edward Porter Alexander, which was retrieved and edited by Gary W. Gallagher. Among Alexander’s many valuable insights are his criticisms of Lee’s decision to fight a battle he could not win at Antietam, many of Lee’s tactical decisions at Gettysburg, and Lee’s failure to coordinate his activities with those of Confederate forces unsuccessfully defending Vicksburg and Tennessee in 1863 and Atlanta in 1864. Another critical evaluation of Lee came from the British major general J. F. C. Fuller. In Grant and Lee: A Study in Personality and Generalship (1933), Fuller described Lee as “in several respects . . . one of the most incapable Generals-in-Chief in history.” He deemed Grant the superior commander because of his broad strategic outlook, which he contrasted to Lee’s narrow Eastern Theater perspective. He also criticized Lee for his over-aggressiveness during the Peninsula, Gettysburg, and 1864 Virginia campaigns. Fuller summed up his comparison of the two generals in an earlier work, The Generalship of Ulysses S. Grant (1929): “Unlike Grant, [Lee] did not create a strategy in spite of his Government; instead, by his restless audacity, he ruined such strategy as his Government created.” While Davis, especially early in the war, preferred a strategically defensive approach to the war, Lee instead went on the offensive, covertly in his Antietam campaign and overtly in his Gettysburg campaign. In the mid-1930s, another British military historian, Basil Liddell Hart, wrote two devastating articles about Lee in The Saturday Review of Literature. In “Lee: A Psychological Problem,” he found Lee to be mediocre, overly concerned about Virginia (instead of the entire Confederacy), and guilty of bleeding the South to death with his suicidally aggressive tactics. In “Why Lee Lost Gettysburg,” Lidell Hart criticized Lee as a strategist for failing to recognize the Confederacy’s limited manpower. The emotion that impelled Lee into the war also influenced the way he fought. He fought for Virginia. Freeman did not recognize Lee’s limitation because to him too the war is in Virginia. It did not occur to him to examine the effect of Lee’s preoccupation with Virginia on total Confederate strategy. Nor did he see the tragic result of Lee’s limitation. In the end, all the brilliance and fortitude of the greatest Confederate general availed little to save his country. It fell to pieces behind his back, and most of his efforts in Virginia went for nothing. Thomas L. Connelly followed up on Williams’s work in 1969 with an article in Civil War History criticizing Lee’s ignorance of the Western Theater, his obsession with defending Virginia, and his persistent uninformed demands for reinforcements from the West and Deep South. 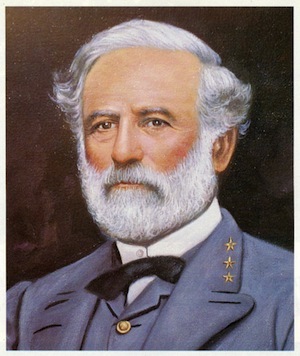 In 1973, in the same publication, Connelly argued that historians had made Lee “a symbol of victory in a defeated region,” citing articles from the 1880s in Southern Historical Society Papers contending that Lee had never lost (Antietam and Gettysburg being strategic withdrawals). Connelly then teamed with Archer Jones in The Politics of Command: Factions and Ideas in Confederate Strategy (1973), arguing that Lee’s close relationship with Jefferson Davis enabled him to get attention for the Virginia front and special treatment for the Army of Northern Virginia at the expense of Confederate forces in the West. Finally, in his remarkable The Marble Man: Robert E. Lee and His Image in American Society (1977), Connelly traced the idealized historiography about Lee, beginning with the former Confederate officers who established the Myth of the Lost Cause. The work of historical revision continued with William Garrett Piston’s Lee’s Tarnished Lieutenant: James Longstreet and His Place in Southern History (1987) and Alan T. Nolan’s Lee Considered: General Robert E. Lee and Civil War History (1991). Douglas Savage followed with a semi-fictional examination of Lee’s mistakes in his creative historical novel, The Court Martial of Robert E. Lee (1993). A later criticism of Lee’s overly aggressive approach was John D. McKenzie’s Uncertain Glory: Lee’s Generalship Re-Examined (1997). Grady McWhiney’s and Perry D. Jamieson’s Attack and Die: Civil War Military Tactics and the Southern Heritage (1982) provided valuable insight into the Confederacy’s unnecessary and self-defeating aggressiveness during the Civil War. They described the devastating losses suffered by attacking armies and demonstrated that Lee’s troops suffered and imposed far more casualties than those of any other general on either side.